Blue Rubicon, PRWeek's Consultancy of the Year for 2012, has sold a 'significant' stake to private equity investor LDC. The deal values Blue Rubicon at approximately £30m and will underpin the agency’s expansion into new markets and territories. PRWeek broke the news that Blue Rubicon was seeking third party investment in May. It is understood that the agency held discussions with a number of suitors within the PR industry, but that non-trade investment was always the preferred option. Fraser Hardie, senior partner and founder of Blue Rubicon, said: ‘This move is being driven by our clients and the ambition of our people. Our teams remain hungry for growth driven by the firm’s ambition to be the defining agency of our generation. As part of the deal, Blue Rubicon and LDC have appointed an independent non-executive chairman, Alastair Gornall. Gornall was formerly chief executive of Reed Exhibitions and founder of Consolidated Communications. Gordon Tempest-Hay, CEO of Blue Rubicon, said that the deal would enable the agency to invest in digital and analytics and to move into new markets to 'respond to client demand and secure the opportunities available to us’. 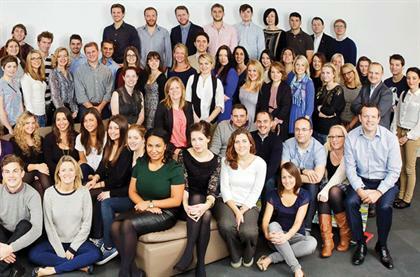 The agency has been crowned PRWeek’s Consultancy of the Year four times, most recently at the 2012 PRWeek Awards in October. The firm’s key clients include McDonald’s, Coca-Cola, British Gas, Shell, Unilever, GlaxoSmithKline and Facebook. LDC’s investment in Blue Rubicon mirrors the investment into College Group in October 2011, which sold a majority stake to private equity investor Vitruvian Partners.